Lights! Camera! Action! 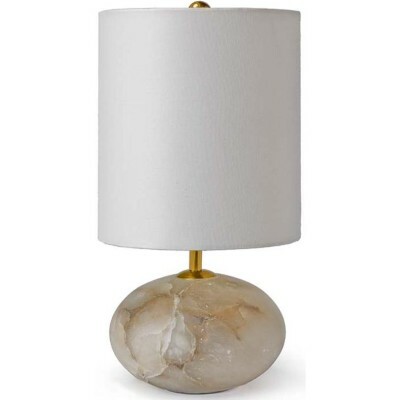 The Kaden Spot Floor Lamp gives new meaning to making your room center stage. 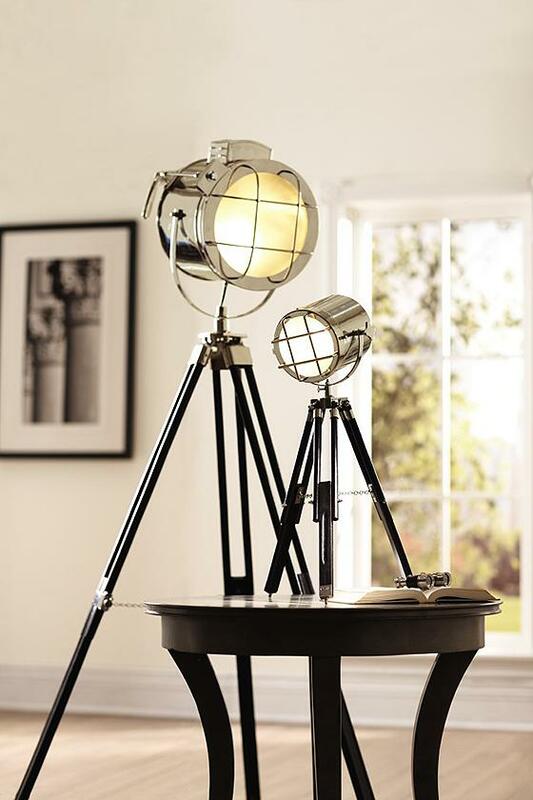 Inspired by major theatrical productions, the lamp brightens your decor in vintage style. SKU: 60086. 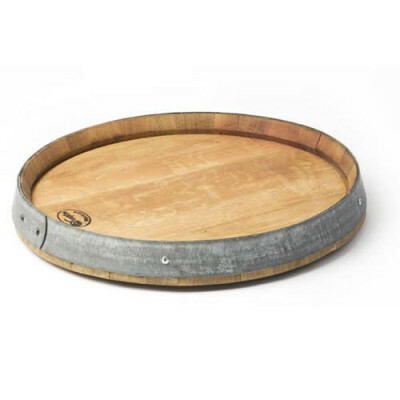 Categories: Décor, Lighting, Vintage & Reclaimed. Lights! Camera! Action! 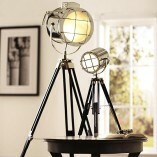 The Kaden Spotlight Floor Lamp gives new meaning to making your room center stage. The oversized stainless steel spotlight has a nostalgic appearance and is inspired by major theatrical productions. 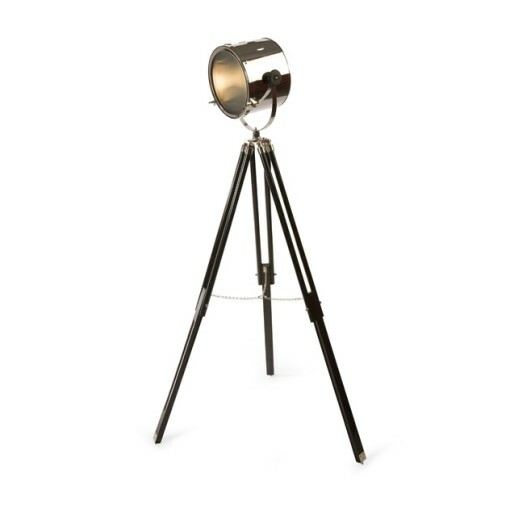 Equal parts bold and handsome, the lamp brightens your decor in vintage style and is an uncommonly stylish addition to any home. The Kaden Spot Table Lamp is made from steel, with a real glass lens and protective cover and sits on top a wooden leg tripod.